Great fun and a super easy way to award prizes to the little ones! 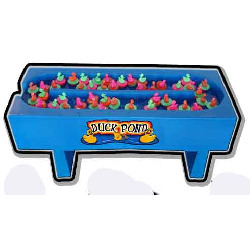 just match the plain numbers to the starred numbers on the bottom of the ducks to win a prize. Requires power and water.